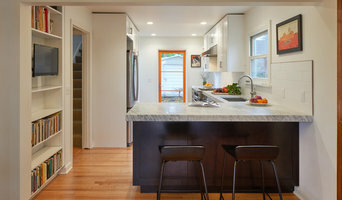 Seattle's Award-Winning Custom Architect | Best of Houzz! Seattle Area Premiere Architect, Best of Houzz 2016 and 2017! DAVID COLEMAN / ARCHITECTURE is known for creating spirited, refined, modern buildings that are timeless, light-filled and evocative of place. Trained in the arts, architecture and design, we bring a holistic sensibility to our work, incorporating sustainable, innovative materials and strong, livable visions. 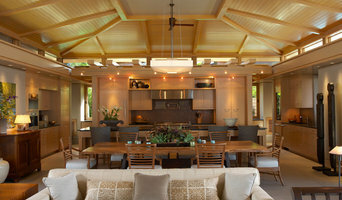 Seattle interior design and home organizing services, with a twist! Family-focused. Affordable. Fun. Get grown-up style, ease and efficiency in your home while creating kid-friendly spaces the whole family will love. I've appeared in local and national media and contributed to notable design publications including Home Organizing & Closet Makeovers: A Sunset Design Guide, InStyle magazine, and Seattle Homes & Lifestyles magazine. All my design training was done in England where I grew up. I have a Bachelor of Architecture degree from Brookes University, Oxford and a Diploma in Architecture (British equivalent of Masters) from Brighton University. After passing all the training requisites (a total of 7 years of pure architectural training) I was registered by the Architectural Registration Council of the United Kingdom (ARCUK) in 1991. In 1992 I came to live in Seattle, Washington and have been helping homeowners with design work and obtaining permits for homes and home remodels ever since. I have 20 years of experience helping clients get what they want. 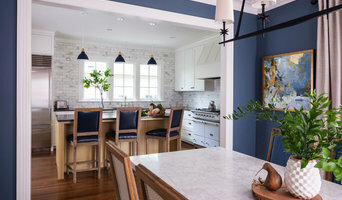 Homeowners remodel for many different reasons, very often it is because they are at a major transition in their life; a birth, a divorce, a death, children leaving the nest, or retirement. But always, they are trying to make an improvement to a home to better mirror who they are and how they want to live. One of my roles as designer is to tap into who they are and what will make them feel more satisfied in their home, and the part that motivates me, is the creative solution that comes as a response to those conditions. Most of us have very similar needs for storage and function dictated by the location and time in which we live, but everyone has very different emotional needs when it comes to their home. A home is most satisfying when it reflects our own emotional needs and lifestyle. Our emotional needs might be for privacy and to have a refuge from the world, or it might be to have a place where we can surround ourselves with our friends and family. Whatever those needs are, I find myself addressing them in my work whilst creating something with beauty and longevity within the budget and the codes. I enjoy the process of designing and enjoy weaving everyone into the process to ensure an optimal outcome.